Dental implants consist of a post that is placed in your jaw to mimic a natural tooth root and a crown that is designed to match your natural teeth. Implants look and act like your remaining teeth and don’t require any special care, which is why so many patients choose them over dentures for tooth restoration. They can be used to replace a single missing tooth or to restore an entire mouth of lost teeth. To be a good candidate for dental implants, you must have a sufficient amount of jaw bone to support the implant. In some cases, your dentist may recommend bone grafting to build up your jaw. Although most people can get dental implants, the best way to find out if they are right for you is to visit your dentist for a consultation. What happens during the dental implant process? Dental implants require multiple appointments. During the first stage of treatment, your dentist will place the post into your jaw. You will then wait for a period of time specified by your dentist before having the next part of treatment. This time is to allow the post to fuse with your jaw. After this occurs, an abutment is attached to the post, which acts as a bridge between the post and the crown. Once your crown is in place, your dental implants are finished and should last indefinitely. Why settle for anything less than the best dentist in NYC when you get dental implants? Get the dental implant expertise your deserve and make an appointment at Park 56 Dental for your care. To schedule a visit, call (646) 783-3529. Gum disease is a serious condition that affects both your oral health and your overall well-being. When you have gum disease, it can cause pain, bad breath, gum recession, and tooth loss. Seeing your dentist in New York for cleanings on a regular basis can help to reduce your risk of developing gum disease. These tips will also help you keep your gums healthy. One of the most effective things you can do for your oral health is to brush your teeth twice a day and floss at least once. Keeping your teeth clean reduces the amount of plaque and bacteria that sit near your gums, causing inflammation. Ask your dentist if you could benefit from using a mouthwash as well. Some types of mouthwashes kill bacteria that cause gum disease and can make your oral hygiene efforts even more effective. Many chronic medical conditions and some medications can increase your risk of gum disease. One of the most common culprits is diabetes. High blood glucose levels can make you more vulnerable to gum disease, and they can cause the disease to progress more rapidly if you develop it. In turn, gum disease makes it more difficult to control blood glucose levels, as the infection causes blood glucose to increase. Maintaining strict control over your chronic conditions can reduce your risk of gum disease. Make sure your dentist knows about your health and any medications you take so he or she can recommend more frequent dental cleanings, if necessary. Despite your best efforts to remove plaque, some of it will calcify and turn into tartar. Tartar will cause inflammation in your gums and can only be removed by a dentist. Have dental cleanings every six months or as recommended by your dentist. Maintaining regular appointments will also allow your dentist to spot gum disease in its early stages, when it is easier to treat. Find out for yourself why Park 56 Dental was voted the top dentist in NYC, and make an appointment for a dental cleaning . You can reach our dental office in NYC by calling (646) 783-3529. When your teen needs orthodontic treatment, it shouldn’t slow them down. With Invisalign, it doesn’t have to. Watch this video to find out how Invisalign in NYC can benefit your teen. Invisalign has several benefits for teens over traditional braces. With Invisalign, your teen can simply pop out the aligners to play instruments or sports, instead of giving up on their music or risking an injury on the field from their brackets and wires. Invisalign also provides a better smile up to 50% faster than braces, which means fewer appointments on your schedule, and it lets teens work on their smiles without feeling self-conscious. Learn more about Invisalign in NYC by making an appointment at Park 56 Dental for your teen. You can schedule an appointment with a top dentist in NYC by calling (646) 783-3529. How Do You Brush Your Teeth? Between visits to the best dentist in New York, you should make sure that you are brushing your teeth properly. This video provides important tips for achieving the best results when you brush. To achieve proper oral health, you need to brush your teeth for two minutes, twice a day. Using a soft bristled brush, make sure to reach your teeth from every angle. If you are due for a dental cleaning, contact Park 56 Dental by calling (646) 783-3529. We are recognized as a top dentist in New York, and you can rest assured that your dental care will be in the hands of the best dentist serving the NYC area. A root canal procedure is designed to treat inflamed or infected pulp in your tooth. 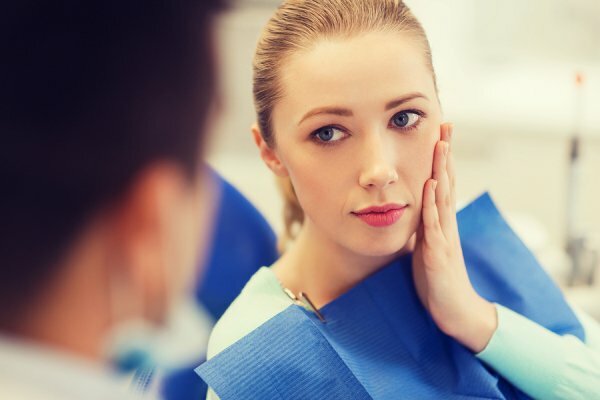 While hearing your dentist mention that you may need a root canal procedure may fill you with dread, you should be sure to educate yourself on the important benefits of this type of service. When you get a root canal, your dentist will be able to alleviate any pain and inflammation that may be caused by infected pulp. In many cases, root canals can also help patients avoid needing to have a tooth pulled out. To schedule your root canal with the best dentist in NYC, contact the team at Park 56 Dental. Our team will provide you with a safe, gentle, and effective root canal, and we will be happy to answer any questions that you may have about your procedure. Give us a call at (646) 783-3529 to make an appointment with our oral health professionals.